Your decision to purchase a Sub-Zero refrigerator was a smart choice it is not just about the style status and looks. 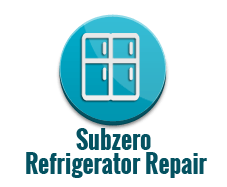 in this age of new appliances breaking more often than ever before Subzero is a name for reliability and strong products. Sub-Zero has the best customer support system in the business for their refrigerators. 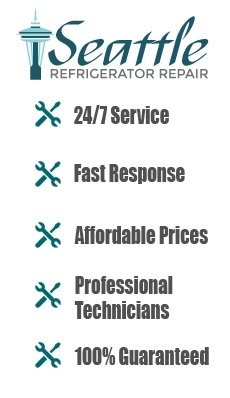 Sub-Zero have the best support for technicians and the best customer service overall. However, that does not mean that you won’t ever have refrigerator problems. Your Sub-Zero product is not your typical appliance it has two compressors and eve coils in a way making it a separate freezer and a refrigerator combine into one unit. 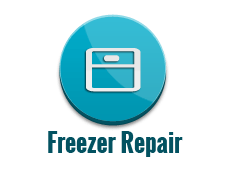 We provide Subzero Refrigerator Repair Services. Call Us: +206-686-9966 Your Clean Condenser light is on. It might be a simple as your condenser coils might just need to be cleaned, just as the light indicator light says. According to Sub-Zero, you should have your coils professionally cleaned every 6-12 months to avoid refrigerator problems and prolong it’s life span. If you are handy, you can do it yourself, but they must be thoroughly cleaned with a brush and vacuumed. If after cleaning, the light goes back on, you may have a bigger problem. Call a professional before your subzero lose it’s cooling. The bar between the refrigerator and freezer side is hot. Again, probably the coils are the problem and you might have a freon issue. Water leaking under the unit. Too many possible problems to mention. 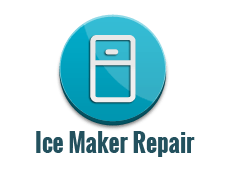 Cracked water lines, frozen water lines, broken water valves, clogged drainage lines, Ice Maker broken, can all cause refrigerator problems and make your fridge leak inside or on the floor. Not cooling, either side, if applicable. Your Sub-Zero refrigerator and freezer has independent compressors, so one does not affect the other. If it’s not cooling on either side, it will not affect the other. Turning the unit off if one side starts to lose cooling will not do much. Call a service professional. Control boards, defrost timers, fan motors, coils, relays and compressors, to name a few, might be giving you refrigerator problems. If your parts are under warranty we will call Sub Zero and order it for you at no cost for you whether you decide to do the repair with us or not. Subzero Refrigerator Repair Service in: Seattle, West Seattle, Kenmore, Bothell, Bellevue, Shoreline, Kirkland refrigerator repairs, Edmonds, Redmond, Burien, Mountlake Terrece, Mercer Island, Refrigerators Repair, Seattle, Bellevue, Shoreline, Refrigerators Repair Lynnwood, , Medina Sub Zero Repair, Refrigerator repair Bellevue, Refrigeration Repair, Shoreline, Redmond, refrigerators. Seattle Fridge Repair, dishwasher,refrigerator. Servicing all major brands including:American Standard, General Electric, Sears, Whirlpool, Admiral, Jenn aire, Subzero, Maytag, Tappan, Frigidare, Kitchenaid, Sub-Zero, Hotpoint, Tempstar, Viking, GE, Westinghouse, Kenmore, Roper, LG, Sub Zero.